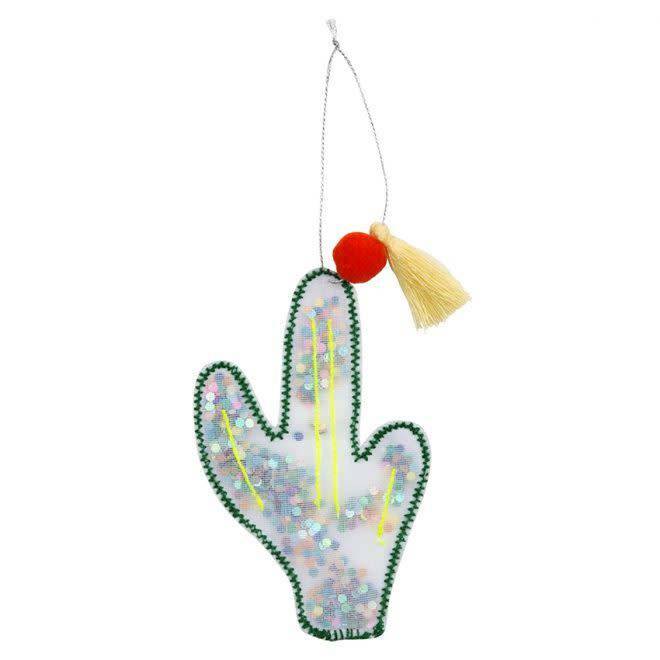 Bring a touch of your own personality to your Christmas tree this festive season with this cactus shaker ornament. Confetti, pompom & tassel detail. Cactus size: 6,5 cm x 9,5 cm.